SABRE – Synergetic Air Breathing Rocket Engine – is a new class of engine for propelling both high speed aircraft and spacecraft. SABRE engines are unique in delivering the fuel efficiency of a jet engine with the power and high speed ability of a rocket. ‚capable of …’ to bardzo przydatne wyrażenie o szerokim zastosowaniu. Możecie go użyć mówiąc o umiejętnościach, cechach ludzkich, ale także w odniesieniu do charakterystyki samolotów, silników, urządzeń pokłądowych. The pilot should be capable of managing with confidence difficult situations during the flight – Pilot powinien być w stanie pewnie radzić sobie z trudnymi sytuacjami podczas lotu. This aircraft is capable of reaching enormous speed- Ten statek powietrzny jest w stanie rozwinąć nieprawdopodobną prędkość. Unlike jet engines, which are only capable of powering a vehicle up to Mach 3, three times the speed of sound, SABRE engines are capable of Mach 5.4 in air-breathing mode, and Mach 25 in rocket mode for space flight. They are simply going to revolutionise the way we travel around the globe, and into orbit. Like jet engines, SABRE can be scaled in size to provide different levels of thrust for various applications which is crucial to our success – it’s going to enable a whole generation of air and space vehicles. SABRE will make the world smaller through high-speed point-to-point transport. 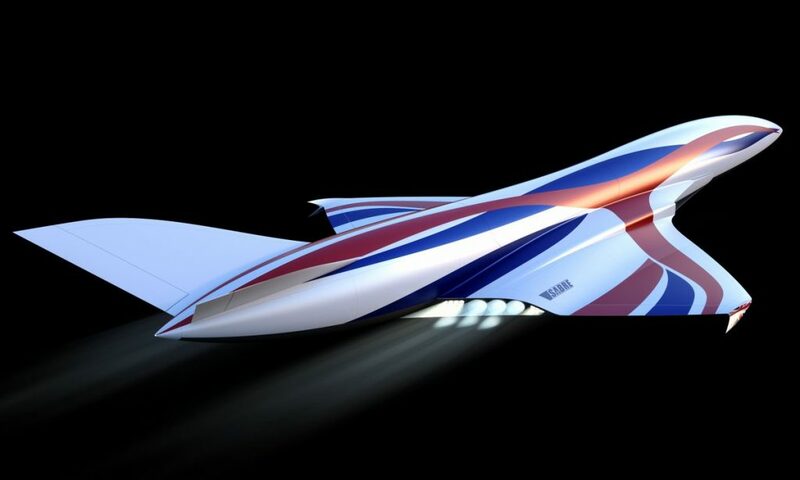 To demonstrate the uses for SABRE in Mach 5 cruise applications, Reaction Engines engaged in a 50% EU-funded project called LAPCAT — Long-term Advanced Propulsion Concepts and Technologies. This project examined the technologies required to reduce long-distance flights, e.g. From Brussels to Sydney, to just over 4 hours while cruising at Mach 5. Another way in which SABRE is unique as a high-speed propulsion system is that most development testing can be done on the ground. This fact enables a much faster, more affordable and less risky journey towards achieving operational high-speed vehicles. Following the ground testing programme, flight testing will be used to validate many key airframe and engine integration technologies while the work is done to finalise the design of the first operational SABRE powered vehicle. Watch here HERE/LINK the fascinating film on reaction engines development project.